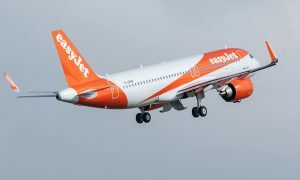 easyJet has signed a firm order for a further 36 A320 Family aircraft taking its cumulative order for the type to 451. The agreement for six A320ceo and 30 A320neo makes easyJet one of the world’s biggest airline customers for the A320ceo Family with 321 ordered and also for the A320neo with 130 on order. In the year that easyJet celebrates its 20th anniversary, earlier in April 2015, the airline took delivery of its 250th A320 aircraft. As with other recent deliveries to easyJet, the A320 is equipped with the latest technology and fuel-saving Sharklets. “Airbus is proud to have partnered easyJet along the airline’s impressive achievements and growth. The airline is one of the biggest carriers in Europe with a large fleet to match. Not only is easyJet one of the biggest airline customers for the A320ceo but also the A320neo. This endorsement demonstrates easyJet’s commitment for operating the world’s most productive and efficient aircraft married with the best cabin comfort for its millions of loyal passengers,” said John Leahy, Chief Operating Officer,Customers. easyJet is one of Europe’s airlines offering combination of extensive route network connecting Europe’s primary airports, with great fares and service. The airline flies on more than 750 routes to over 130 airports across 31 countries. easyJet operates Europe’s largest and the world’s fourth largest Airbus single aisle fleet. 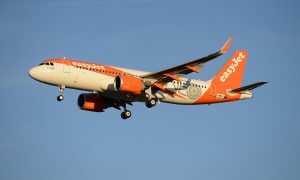 Since easyJet took delivery of its first Airbus aircraft (an A319) in September 2003, Airbus has delivered an aircraft on average every 16 days to easyJet since the first delivery. With over 12,200 aircraft ordered, and over 6,700 aircraft delivered to over 400 customers and operators worldwide, the A320 Family is today the world’s best-selling single-aisle aircraft family.